The Star People programme has developed nearly 300 social leaders across 133 Big Local areas. Applications are now closed and we’re looking at how we support enterprise in Big Local in the future. Over the past six years, UnLtd and Local Trust have, through the Star People programme, found people with talent, energy and great ideas to make their place better and offered them funding and support to start and scale up. These ambitious social entrepreneurs from Big Local areas know what works and how to transform their communities. With over £3 million of investment from Local Trust and UnLtd in more than 1,000 Awards of cash and support to social entrepreneurs they have been able to make a real difference. We have seen people step forward to create a range of unique and innovative social businesses including crèches, back to employment projects, recycling ventures, community cinema, arts and enterprise hubs, education and training ventures. Taken together the social entrepreneurs have helped some of the most vulnerable people in their communities and on the way created jobs and volunteering opportunities. We have worked in 133 Big Local Areas and intensively in 36 places. We are now in the final year of this work and applications for new Star People Awards or intensive areas are now closed. As of 2016, all the 150 Big Local areas have successfully produced a Big Local plan which describes their community’s vision and priorities for the area. They also created partnerships; resident-led groups that guide the direction of Big Local in their area and have embarked on a wide range of projects and initiatives aimed at improving their local area. Star People social entrepreneurs in Big Local areas have between them created 3,700 local jobs and volunteering opportunities and developed 292 social leaders within these areas. Over 203 people in Big Local areas are now more confident to act for social benefit. The Star People programme has shown the value of funding and supporting social entrepreneurs to build stronger communities. Some areas have now begun to use their own resources to support their local talent. 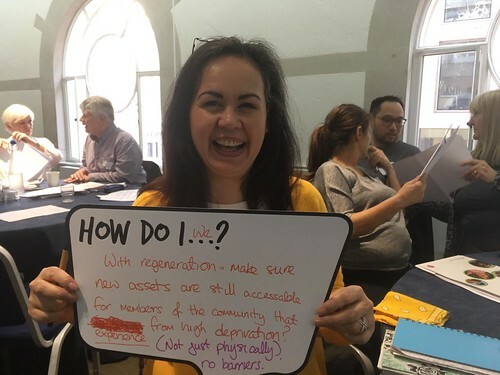 As we move into the next phase Local Trust and UnLtd are looking at how we ensure social entrepreneurs and enterprise in Big Local areas are supported in the future. If you live in a Big Local area and want to be involved or have an idea for social enterprise, please get in touch with your Big Local partnership.